Andy was commissioned to make a woodstore to our exact measurements due to limited space in the location where the woodstore was going to be fitted. It was made to perfection and he fitted the store with ease and as a true professional. It is now a year on and it still looks as good as new. We are going to give it a coat of preservative as recommended. Thanks again Andy. Jill. I would just to like to say a big thank you for an outstanding piece of work. The wood store looks fantastic! Just to thank you for the lovely woodstore delivered this week. We are delighted with it. 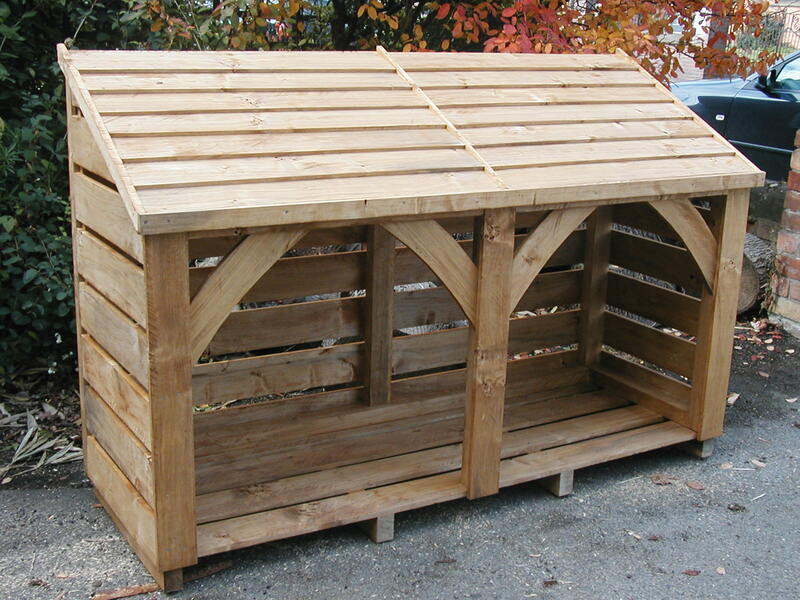 We really appreciate the service and the quick delivery, it looks very sturdy and fits well into the garden. Hi Sadie, Thanks for the wood store - It's great! Many thanks for the woodstore. We're absolutely delighted with it. Friendly and helpful people. The log store is attractive and well made. We are very pleased. Just to let you know that the woodstore arrived today. First impressions are excellent, it looks exactly how we wanted and it fits the space perfectly. So thank you very much. We now have to move all the log pile into it! 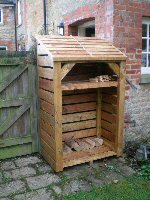 Just to say your woodstore arrived today, we are very pleased with it, thanks!